KNAUER is one of the pioneers in the field of osmometry and is known for its reliable and userfriendly instruments for many decades. 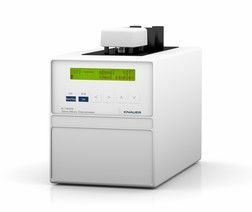 Our newest freezing point Osmometer K-7400S allows the easy and fast determination of the osmolality of various aqueous solutions. In addition, the freezing point depression of such samples can be measured.